The early exiles were largely middle and upper-middle class, so they were not as motivated by improved economic prospects to be found in the United States as were those exiles who came at a later date. 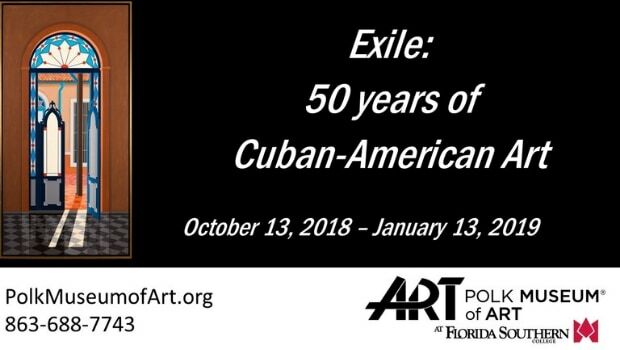 Indeed, the later generation of artists who came to Miami in the 1990’s were very much looking for more opportunities, while looking for personal and artistic creativity as well. The exodus continues to our day. Those who came after the early 2000’s are mostly immigrants and not exiles, except the very few ex-political prisoners and dissidents forced to leave the Island. Exiles have embraced the United States with the passion of a people without a land. They are involved in every facet of life in the United States. Their children, born here, are true Americans simply proud of their parents and grandparents, who have been immensely successful. The 10 artists in this exhibition, now Americans, exhibit a broad tapestry of talents and styles and preoccupations in all the works presented in this exhibition.